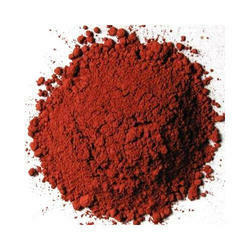 We offer a wide variety of minerals that come in vivid colors and variety of shades. These are often mixed with the cement to render a particular color to the walls and interiors. 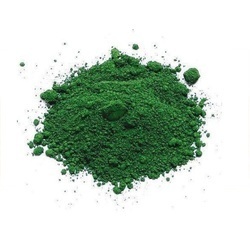 Chrome Oxide Green is an inorganic pigment whose olive-green color has been classified as Pigment Green 17/C.I. 77288 (Chrome Oxide Green) by the Colour Index System. Its basic chemical composition is Cr2O3. Chrome Oxide Greens are used in a wide variety of applications because of its excellent opacity, outdoor durability and heat fastness. Its hardness is also highly valued for surface finishing, where Chrome Oxide Greens are used as abrasive components. Backed by rich industry experience and market understanding, we are involved in offering a wide array of Oxide Pigments to our valued patrons. Looking for Processed Minerals ?